Abortion has always been a subject of debate. Supporters to it claim that women must be allowed to get her pregnancy terminated, if they want to, while others opine that terminating pregnancy must be a criminal activity or disallowed at any stage or circumstances of conception. These days, the female can buy MTP kit online, the medicines that end pregnancy without surgery, making the procedure less intrusive and successful, just like many other healthcare treatments. During pregnancy or before, a female can go through a lot of problems, some relating to health, the unborn condition, and more, which may make the person look for pregnancy termination. Here are 7 arguments for pro-abortion. Pregnancy termination is not always only based on the choice of the person. There are times when a health complication, injury or fetal conditions prompts for disruption of conception, and medically directly towards miscarriage. Sometimes a pregnancy can be life threatening to women under various circumstances. Thus, a complete ban on pregnancy ending is really unethical. Given and said all, the fetus grows in the woman’s uterus, and at any point of time if the person feels she cannot take responsibility of the child or faces consequences that requires her to end the pregnancy by taking abortion pill kit online, then she must be the only one allowed to take the call. After all it is the woman’s body and no one must interfere as to what she wants to do with it. A fetus less than 20 or 24 weeks old cannot survive by itself outside the womb. It also lacks sensation of pain until the second trimester. Most of the pregnancies terminated are in first trimester. The embryo is said to have ‘potential’ for life if it can live on own or with support outside the woman’s womb, making pregnancy ending, a sole choice for the female itself. Due to complications in woman’s life and health, sometimes she chooses to abort the child. Perhaps if the pregnancy was continued, either she would have died or the child given nature of few diseases or hurdles at conception. Saving at least one life is also a right to life, and thus woman must have a say in living. The ones who wish to end pregnancy are confident mostly about their decision. If they cannot obtain it legally, they will do so illegally with back-alley procedures. Here the MTP Kit price may be less, but there is no surety the medicines would be genuine or if a trained staff will be performing surgical terminations. 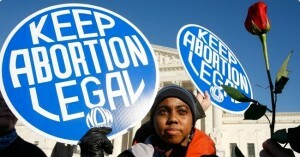 Several women have died in back-alley regimens due to blotched up abortions. Men can purchase birth control methods or medicines, treatments for erectile dysfunction over-the-counter without having to be accountable to the women they are with. Thus, women must have access to control her reproductive health and pregnancy if she wants to without involvement of the third person. In certain pregnancies, the fetus contains defects, which is sure to lead the infants’ death in matter of few hours or short duration from birth. These can be detected before birthing via ultrasound. In such cases, the female must be given the liberty to decide- whether to get an abortion or not. This entry was posted in abortion pills, pregnancy and tagged abortion pills online, buy abortion pills, Buy MTP kit online .